We are pleased to announce our latest exhibition in Shirokane, which takes up the theme of "wood". 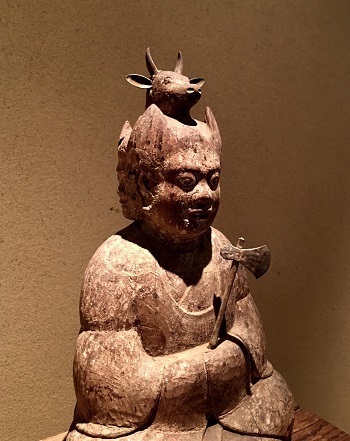 Welcoming visitors is this wooden statue of the Shinto deity Gozu Tenno, which is displayed alongside other Shinto and Buddhist sculptures from the Heian and Kamakura periods. 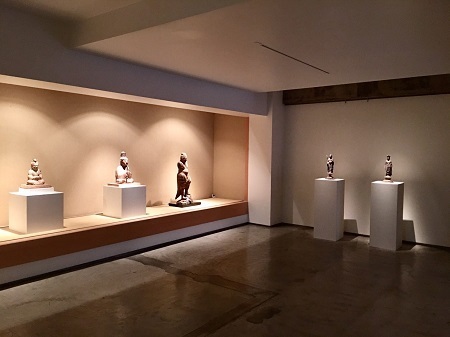 The techniques used in making these sculptures changed over time, so comparing them makes for an interesting exercise. The weather has suddenly picked up and it is feeling much more like spring, so we hope you take the time to get out and come by Shirokane to see the show. At the same time, we would like to take this opportunity to announce our Golden Week holiday schedule. Roppongi reopens on Monday May 8th, whereas Shirokane opens on Tuesday May 9th, according to its usual schedule.